Kimball is a congregation with a rich history in Kannapolis, one that has included a tradition of serving God as well as our local, national and international communities. As a member congregation of the Evangelical Lutheran Church in America (ELCA), Kimball is committed to living out our mission: To reach out to all God’s children within the world, accepting and teaching them the unconditional love and grace of Jesus, so that they grow as disciples and experience and share God’s love. Chartered in 1914, for 100 years now Kimball has endeavored to fulfill this mission in faith and action, with all the traditional ministries of worship, prayer, service, education and fellowship for all ages that are central to building disciples. Sunday worship services (8:30 and 11am), Sunday morning discipleship classes, Wed night Bible study group, VIA de CRISTO, mens group (LMM) and women (WELCA), prayer teams and other ministries all help us grow in our path of faith and to support and encourage one another. Kimball has always placed a high priority on serving and reaching out to our local neighbors. 10 years ago, when the Pillowtex mills closed, Kimball opened its doors and hosted a consolidated Community Service Center where various agencies and organizations provided assistance to displaced workers. Opening our doors and welcoming our neighbors has continued to be a strong element of Kimball’s ministry, and some of Kimball's community service ministries include hosting the Samaritan's Table meals on Thursdays, serving as a location for Carolina Value Vet, serving at the local homeless shelter, sponsoring Girl Scouts and various seminars and concerts, participating in the Kairos Prison Ministry. Kimball also operates an affiliated preschool, currently enrolling approximately 45 children from our local community. 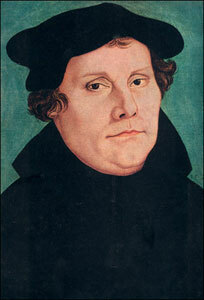 Lutherans are followers of Jesus Christ rooted in the teachings of the Bible and believers in the grace of God. Rev. Dr. Martin Luther was a Roman Catholic priest who in Bible study came to understand the Good News of Jesus to be rooted in the grace of God. God loves us. God is not a vengeful judge waiting to get us. We do not have to be afraid of God. Rather, we can live a joy filled life knowing Jesus has died for our sins because he loves us. And we are freed from sin (anything that separates us from God) through Jesus. Lutherans are those who understand being a follower of Jesus in this way. The Lutheran Church came into being in the 16th century and has spread throughout the world with more than 60 million people belonging to Lutheran fellowships.